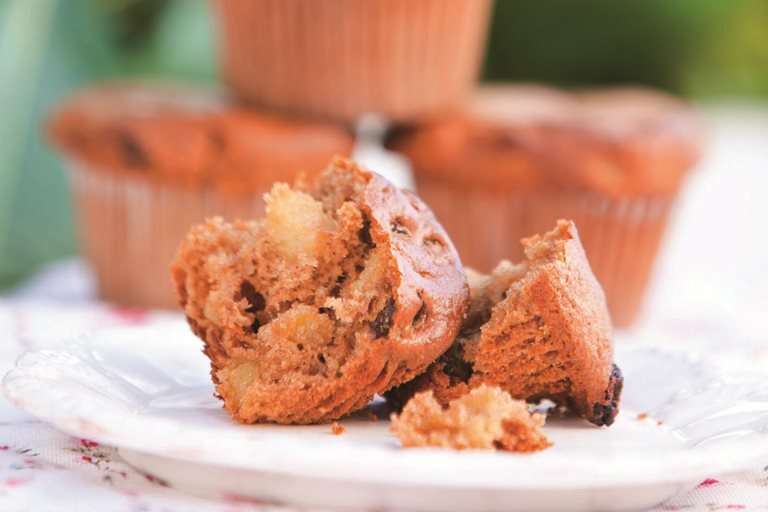 These great lightly spiced apple muffins from Shaun Rankin make a great mid-morning snack and are at their best served slightly warm accompanied by a frothy cappuccino. The addition of diced apple and plump golden sultanas gives a moist muffin that will last a few days in a sealed tin. This apple muffin recipe is wonderful to make for breakfast or brunch.